A former Treasurer of PDP in Ode-Itsekiri Ward and acclaimed leader of the ward in Warri South Local Government Area, Mr. Sunny Bodor says people of Ode-Itsekiri Ward which comprises of communities such as Ode-Itsekiri, Orugbo, Usele, Inorin, Kpesan, Ajigba and Ugbodede have chosen one-time transition committee chairman of Warri South Local Government Area, Dr. Augustine Uroye as their choice for the Warri South Constituency 1 Seat come 2019. Mr. Bodor made the declaration when Vice Chairman of PDP Ode-Itsekiri Ward, Prince Patrick Oneyor, Hon. 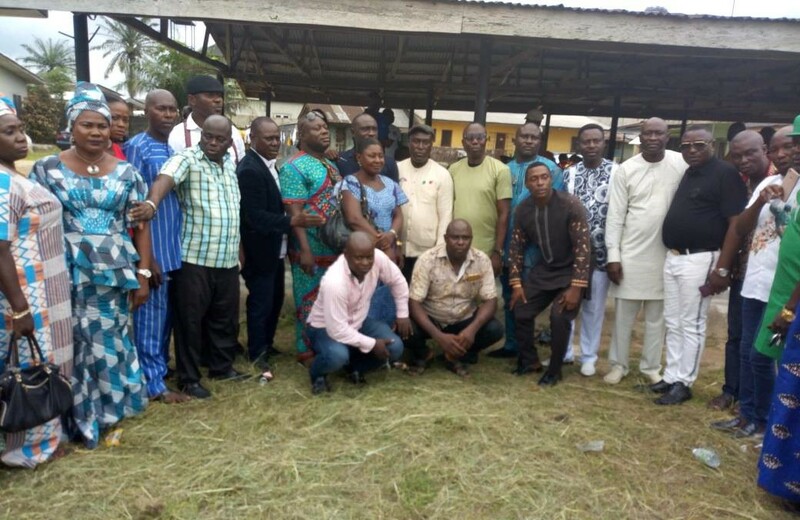 Darlington Semuge, Reinelt and other key players of the ward accompanied Dr. Augustine Uroye to the Warri residence of Warri South PDP leader, Chief Joseph Sisanmi Otumara on Sunday April 15. Prince Oneyor in a chat with Fresh Angle International also threw his weight behind the Dr. Uroye's aspiration, insisting there is no going back. Chief Otumara in his response, noted that politics is an act that is full of intrigues and averred, " I don't want to be an agent of confusion. Whatever I can do to make him better than House of Assembly, I will do. At any time, God will make your ambition possible, if not now ". 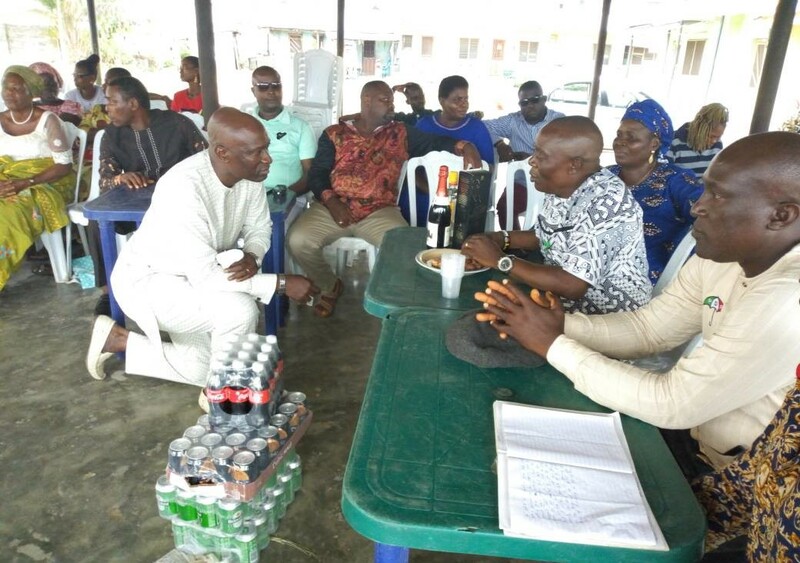 Dr. Uroye, a former Secretary to Warri South Local Government in his remark, declared that it was natural for him to "take blessing” from Chief Otumara “even though people of the Ward (Ode-Itsekiri) have agreed that I am their choice “. Fresh Angle International can report that the incumbent member representing Warri South Constituency 1 in Delta State House of Assembly, Hon. (Mrs.) Shola Ogbemi Daibo contested the 2017 By-Election as an indigene of Ode-Itsekiri Ward. Delta State PDP Deputy Chairman, Barr. Ada Val Arenyeka, Madam Jolomi Dabor and Sir Emmanuel Abigor were in the private residence of Chief Otumara when Dr, Uroye's delegation visited. 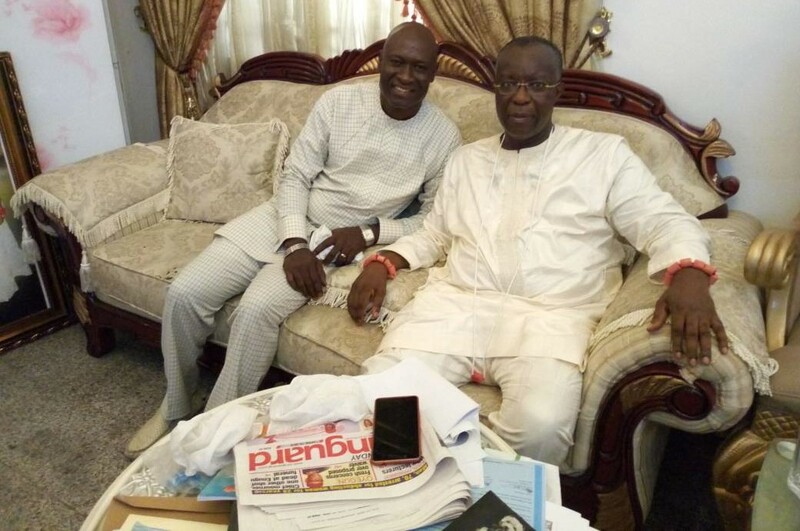 Meanwhile, Dr, Uroye also visited PDP leaders in his Ode-Itsekiri Ward, to formally intimate them of his intention to contest the Warri South Constituency 1 seat in 2019. He told the party leaders, “those who know me, know I don't play with issues of this ward. If we don't put ourselves together, they will take the slot to add to what they already have in urban. I can't be afraid at my age not to say the truth. I have the capability, experience and contacts”. A former Vice Chairman of Warri South Local Government and leader of PDP in Ode-Itsekiri Ward, Hon. Ode Wilkie prayed for Dr. Uroye and wished him success.